I have a question about a South Bend pocket watch. The watch is a marked 337 18s 17 jewel. I have a list of serial numbers for South Bend watches, but do not see 337’s shown. If I look-up the serial number it references a 345 18s 17 jewel. The Cooksey Shugart watch guide lists the 337 watch, does anyone have more info on this watch. This is one where there is no clear answer. 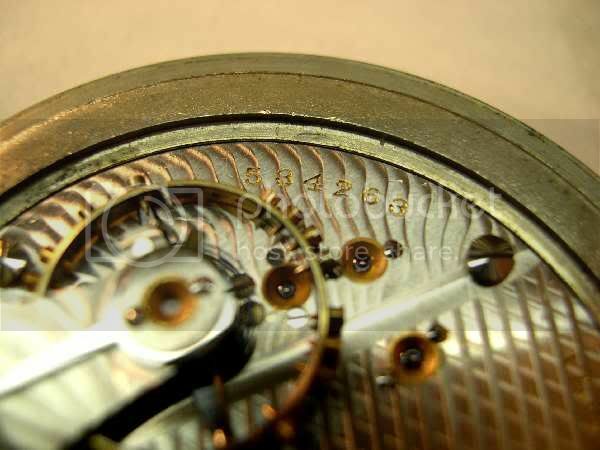 South-Bend Model 2, Grade 337 movement numbers surface as being within runs of published movement number listings originally assigned to and blocked for the Grade 345 which is desirable due to its damaskeening design and high quality finish. 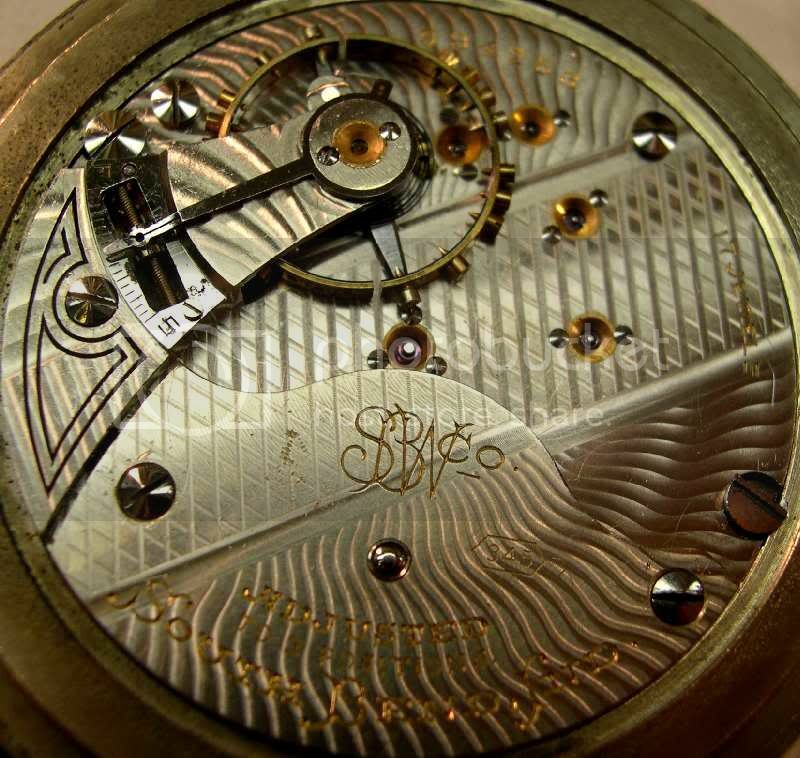 Most of our interest in the Grade 337 movements is in the fact they are somewhat of an oddity. Although listed in South-Bend catalogues there were never any specific numbers assigned for them. Speculation is the Grade 337 may have been essentially along the lines of "private label" watches made as a way for jewelers to have an item for sale that was not available from a competitor down the street. Those collecting every South-Bend grade consider the Grade 337 a must-have item. 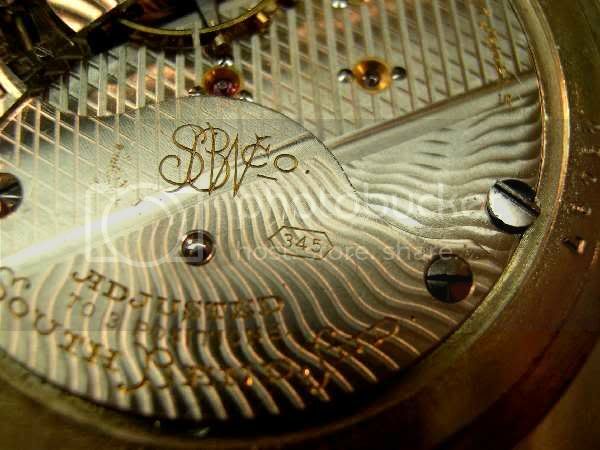 Is the South Bend 337 always marked on the movement as a 337? Or, do you have to find a 345 with serial numbers that fall within the range you listed above? Does anyone know the years that the 337 were produced? This would be a good topic for the members to list any serial numbers they have for the 337 and note any special markings. The two are that I have are 534279 and 534690 and both marked with 337 within a fancy boxed outline. I have number 534117 but that one is a marked 345 so... the mystery continues. Note that this example number 534279 does not have the Adjusted markings on it like the 345 like Lindell's picture in the above post. My other example is marked that same way except that one number 534690 also has "Double Roller" located between the case screw and the serial number. If we get enough examples we may be able to determine the range for the Grade 337 movements. If this range is determined the 345 will have a somewhat lower production total. We could use this topic to post numbers for both the Grade 337 and the Grade 345 that would help narrow it down. The dasmaskeening is also different than the 345 I have in my collection. Be sure to read my 337 analysis under the "Help Update the "Complete Guide to Watches" forum. We need more information on both the 337 and 345 please post yours. My marked 345 is number 528635. It is marked as adjusted to 3 positions. We have 4 watch serial numbers reported. there must be more out there. Please help us out and post you numbers. Your cooperation is greatly appreciated. A Friend who also collects South Bend Watches just called. He has a 337 with Serial Number 534767 and a 345 with Serial Number 534195. This gives a spread of only 84 watches between the last 345 we have listed and the first 337 we have listed. Here are the numbers we have so far"
Keith, You are right. I did miss that one. If the numbers listed above for grade 337 represent beginning and ending and all the serial numbers assigned in between were for 337 then there were at least 488 grade 337's made. I also posted this reply under the "Help Update the "Complete Guide to Watches"" forum. This leaves a span of 488 watches if all of the numbers between the lowest and the highest were used. We need more serial numbers reported as this is not enough numbers to make any kind of judgment call. My guess is if the 337 were simply a private label watch then we are going to find some grade 345's intermixed between the lowest and highest 337 numbers we have recorded so far. Looking back on old posts I found this post from Andre showing a 345 with serial number of 517443. Another number for the list. I found that yesterday when I was looking back. I added it to our list but I didn't repost an update because it has not changed or narrowed down the beginning or ending of the 337. Members we need your participation. Please post your serial numbers so we can continue with our research. Thank you! As of this date we have registered only 6 grade 345 watches and 3 grade 337 watches. If this is all there is then these watches are even more rare than we initially expected. There have been 533 views of this post but no one has added any new watches or emailed me with any new watches since April 11, 2009. We sure wouild like to add to this list so we can make a solid recommendation to have the Complete Price Guide of Watches updated. If you have a South Bend 345 or 337 watch please post that infomation and help us out. Inserting these numbers into Ernie's list will show we have a trend developing! This adds a new dimension. There is now a confirmed 345 number 534385 in the middle of the 337 production. There are 84 unknown watches between the first 337 we have reported and the previous 345 that was reported. There is 106 unknown watches before the next 345 reported. All of the 337 grades reported to date have been from Production Run 4. I have two to report. The first is SN 534080, Marked "345". That extends the range of the known list for the 534,000 downwards. I would guess (but not bet, because these serial are seriously goofy), that 534001-534080 are all Grade 345's. Second is SN 534263, Marked "345". That extends the range of known 345's upwards towards the first known 347 by some 60+ numbers. I hope some people are still looking out for these watches. I think a few more data points are needed to make a good guess at where the limits are for the ranges. We are getting closer but we are still a long way from any definitive list that we can make a valid determination with. Does anyone in IHC 185 have any additional grade 345 or 337 South Bends to report? I have come across the South Bend discussion concerning the 18S Grade 345 and 337.
marked Double Roller. It has a white SS Arabic Dial with red 5 minute increment numbers. It is housed in a Keystone Watch Case, Silveroid, S/N 858790. On online databases the watch is identified as a grade 345. Those who are searching the internet for information on these will find their way here. Another marked 345 has shown up, number 528807 with single-sunk dial and marked "Adjusted 3 Positions" on the barrel cover. The pattern of these "mixed-runs" is falling into place, there is no longer any doubt. Here are two that I have 345 S/N 517555 marked adjusted to 3 positions 17 jewels and 337 S/N 534877 marked 17 jewel double roller. I have one marked "345", serial number: 528783 and it's also marked "Adjusted to 3 positions". This is very exciting research! then numbers 517701-518000 were Double-Roller and Second Run. Grade 337 examples found thus far are from the 3rd and 4th run. The 4th run are marked as (337) and 17-Jewels, Double Roller, but NO Grade 337 is Marked as Adjusted. All our Grade 345 are marked <345> and 17-Jewels, Adjusted to 3 Positions but NOT marked Double Roller. Material in this Database is subject to updates and revision whenever additional information becomes available. send an eMail to southbend@roadrunner.com Thank You! Last updated December of 2014 with our latest sightings. 517558 is a 345 marked adjusted. I have a 528262 Marked 345 Adjusted.